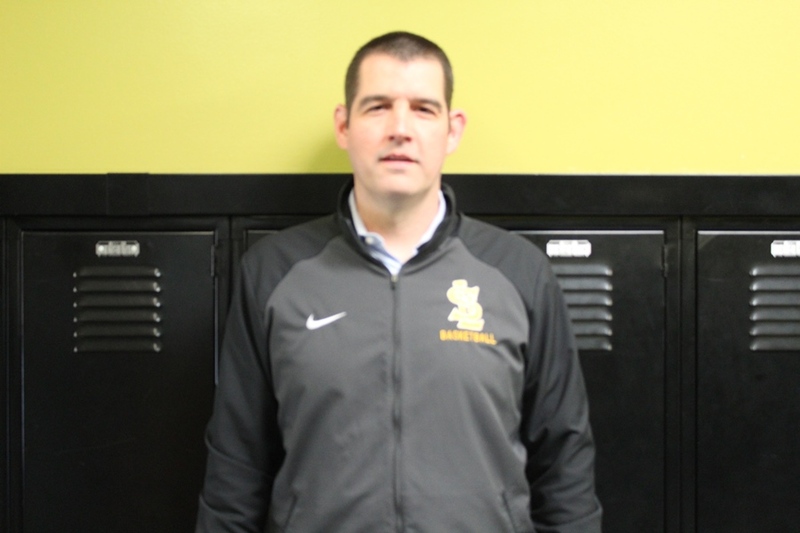 St. Laurence High School is pleased to announce the hiring of Jim Sexton as the new head varsity boys basketball coach. Sexton takes over for Jim Maley, who stepped down from the position to pursue another coaching and teaching opportunity. Sexton, a native of Evergreen Park, becomes the 10th boys basketball coach in St. Laurence history. He served as Assistant Varsity Coach and Director of Player Development on the Viking Basketball staff for the past two seasons and has held a major role in the team’s recent resurgence. To go with his assistant duties, Sexton also has experience filling in as an interim head coach for the Vikings. In addition to his role with St. Laurence, Sexton also co-founded Beyond The Arc Academy, a basketball club in Evergreen Park that coaches and trains over 250 boys and girls basketball players from 1st-8th grade. Coach Sexton had a decorated playing career, as he played college basketball at Creighton University and was a member of the first-ever NCAA tournament team at UIC. In high school, he was a three-time All-Catholic League player and earned All-State honors his senior year. Current 5th through 7th grade boys can meet Coach Sexton for the first time at a free basketball clinic on Sunday, April 30 from 9:30-11:30 a.m. Students can sign up at www.stlaurence.com/clinics. For any questions about the clinic, please contact Director of Admissions Joe Spano at jspano@stlaurence.com.